This year Microsoft experiences, an annual event that brings together the leading names in digital transformation, is teaming up with HUBFORUM Paris during a day dedicated to marketing and digital innovation. 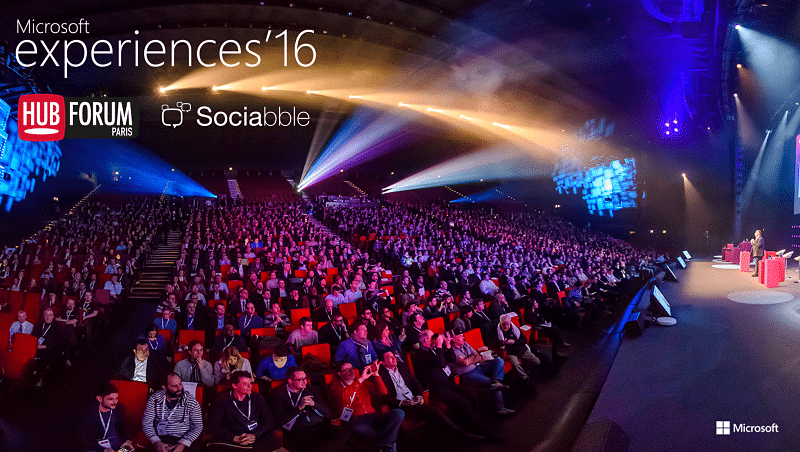 Sociabble will also be at the event; which takes place in Paris on October 4th. We’ll host two sessions on the application of digital transformation to sales processes; as well as the impact of social selling on concrete business results. During this session on the application of digital transformation to sales workflows, Sociabble CEO Jean-Louis Bénard will explore how social selling – the act of engaging clients and prospects through the provision of expert insights and rich content – has become an essential element of sales teams’ daily activity. Drawing on best practices and success stories, this session will demonstrate how the combination of social listening, making contact (LinkedIn Sales Navigator), and engaging audiences through thought leadership. The expertise (the Sociabble social selling platform) of a winning trio for social sellers looking to use social networks to drive business results. Sociabble aggregates company and third-party content onto themed channels; from which social sellers can share on their own social network accounts. During this session Jean-Louis Bénard will present the platform’s key features, including the gamification, rewards and personal performance metrics. All of which directly address the adoption challenges involved in any social selling program. Social sellers have a number of opportunities to drive business on social media; but with these opportunities come serious challenges. During this speed-pitch session Jean-Louis Bénard will present the Sociabble social selling platform in action; while also demonstrating how it addresses the key challenges facing social sellers. The channlges of content availability, mobility, compliance, performance tracking, and more. This information not only enables them to become thought leaders in their field, but also engage audiences through the provision of pertinent content.